Ulrik Bengtsson sits on the William Hill (plc) executive board as Chief Digital Officer. He has oversight of the full online business as well as global brand and marketing. William Hill is one of the world’s leading betting and gaming companies with almost 3 million active customers, GBP 1.7bn in revenue and 16000 employees across Europe and the USA. Ulrik is the former President and CEO of Betsson (plc) the international internet technology company. During his time at Betsson, Ulrik managed the acquisition and integration of nine companies. He led the development and the execution of strategies which resulted in strong growth for the group, with revenue increasing from SEK 2.2 bn in 2012 to over SEK 4.7 bn in 2017 and EBIT growing more than 50% in defiance of a sharp increase in point of consumption taxes paid. Ulrik has a background from digital consumer services. 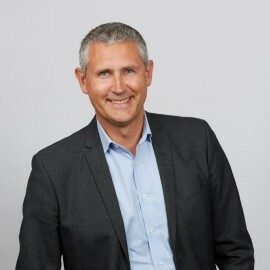 Between 2008 and 2011 he was CEO of the Pay-Tv Emerging Markets business area at Modern Times Group (MTG), before that he was CEO of Viasat Broadcasting in Sweden. Before joining MTG, Ulrik worked in various roles at Telenor, the international telecom and media group and at IBM. Ulrik has a B.Comm. from Dalhousie University in Canada, where he also played varsity ice-hockey.